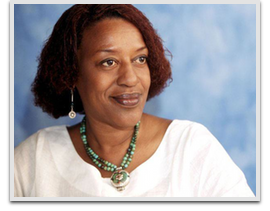 CCH Pounder is a film and television actress, having appeared in numerous films and television series. From 2002 to 2008, she starred as Detective Claudette Wyms in the FX Networks police drama The Shield. In 2009, she starred as Mo’at in James Cameron’s film Avatar. Most recently, Pounder had recurring roles as Irene Fredric on the TV series Warehouse 13, and DA Tyne Patterson on the FX TV series Sons of Anarchy.